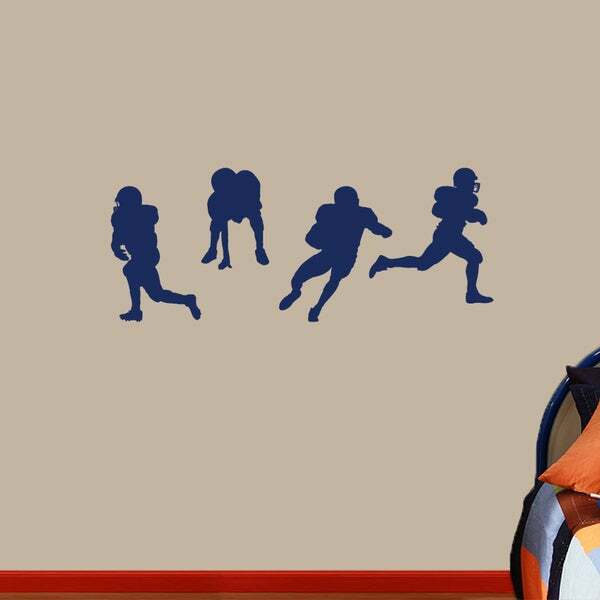 It's all about sports with this Football Players Wall Decal. With all of the football decals available, you could create an entire football field in your room. Place the players to your choice of position on the field and turn your wall into the game. This wall decal measures tip to tip and can be applied to any smooth surface.